Cherry Salsa from Traverse Bay. Photo by Melody Lan | THE NIBBLE. In the 1970s, a new food trend, sometimes called the “whole foods movement,” sweeps the country, emphasizing cooking with fresh, unadulterated ingredients. “California cuisine” is born, vegetarianism increases in popularity, health food stores and gourmet retailers (specialty food stores) spring up to sell specialty foods that are not available in supermarkets. In 1975, Patti Swidler of Arizona launches Desert Rose Salsa. Four years later, in Austin, Texas, Dan Jardine begins producing D.L. Jardine’s Salsa, giving Austin the reputation as the hot sauce capital of America. In 1987, Pace, the market leader, sees major competition as Hormel & Co., licenses the Chi-Chi’s restaurant name and introduces the Chi-Chi’s brand, which will eventually capture a large share of the market. The same year, Robert Spiegel, Dave DeWitt and Nancy Gerlach found Chile Pepper magazine for fiery food lovers. In 1988, Lisa Lammé opens Le Saucier in Boston, believed to be the first retail shop specializing in hot sauces. tomato but from the tomatillo, a member of the same family as the tomato (the Nightshades) but closer in relation to the cape gooseberry. Between 1985 and 1990, Mexican sauce sales grow 79%. Between 1988 and 1992, the percentage of American households buying salsa increases from 16% to 36%. In 1991, salsa overtakes ketchup as the top-selling condiment in the U.S. in total dollar sales. 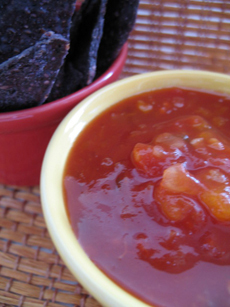 By 2000, more households buy salsa than bought ketchup. From a health standpoint, that’s good. Ketchup is loaded with sugar; salsa generally has none (except for fruit salsas, which typically have no added sugar). 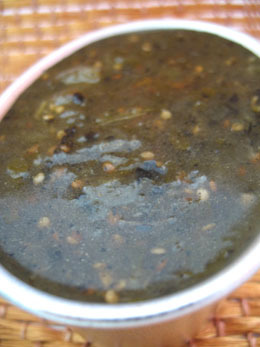 Salsa is low in calories and contains little to no fat. Tomatoes, chiles and cilantro contain vitamins A and C; tomatoes also have potassium. In 1933 Cuban songwriter Ignacio Piniero wrote the song “Echale Salsita” (“Throw On Some Sauce”) after tasting food which lacked Cuban spices. But it was in 1962 that Jimmy Sabater’s tune “Salsa y Beme” suggested that dancers spice it up by adding a little “salsa” to their movement when they danced. Sabater is a bilingual vocalist, percussionist and composer, born of Puerto Rican parents in the El Barrio section of Harlem (Spanish Harlem). As salsa denotes a spicy or hot flavor, salsa is a hot and spicy dance to a variety of Afro-Latin rhythms driven by the clave (two wooden sticks struck together). Many of the salsa dance patterns are closely related to those of the mambo. Salsa is the national music and dance of Puerto Rico. WANT TO BECOME A SALSA (THE FOOD) EXPERT? 30 different definitions and types of salsa!